The Golden Oak features a cozy covered perfect for sitting outside. 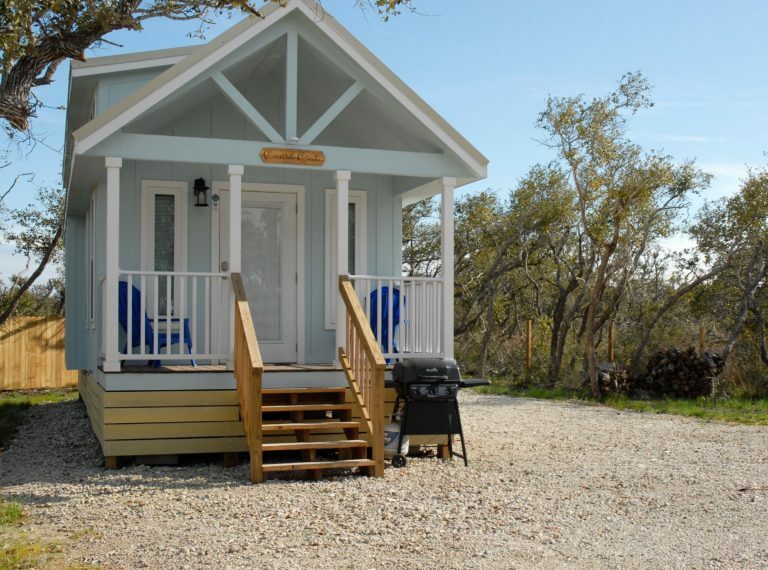 This beautiful cottage includes a living area with a pull out queen size couch, full kitchen, and a private bedroom with a king bed. Plenty of room for parking your boat or vehicle beside the cabin. We are minutes away from Estes Flats, Conn Brown Harbor, and Redfish Bay. Perfect spot for the fishing or family getaway. For a complete list of amenities for the Golden Oak, click here. Maximum occupancy for this cottage is 4 people. If booking for longer then 5 nights, please call (888)850-0730 to receive a discount. Prices range from $125 to $137 a night depending on the day of the week. 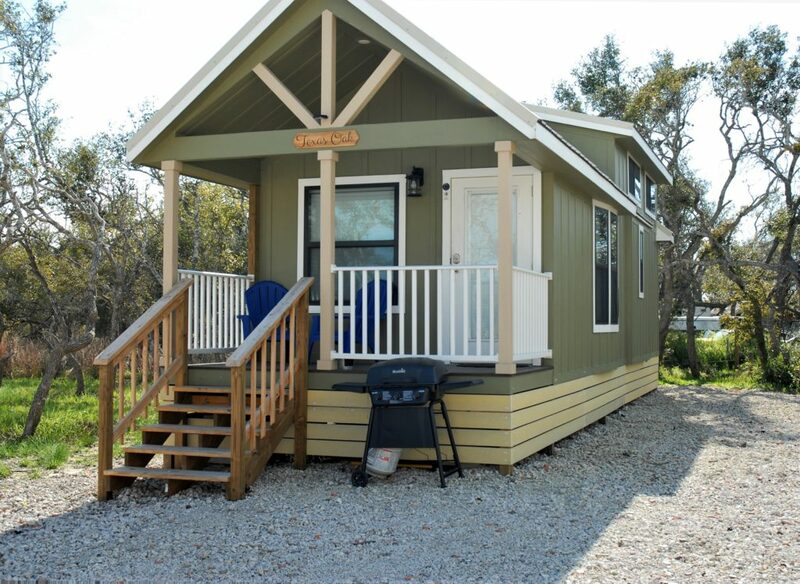 The Maple Oak features a covered porch, spacious living area, full kitchen, a private bedroom with a king size bed and loft with 2 queen beds. Plenty of room for parking your boat or vehicle beside the cabin. We are minutes away from Estes Flats, Conn Brown Harbor, and Redfish Bay. Great spot for a fishing or family getaway. For a complete list of amenities for the Maple Oak, click here. Maximum occupancy for this cottage is 6 people. 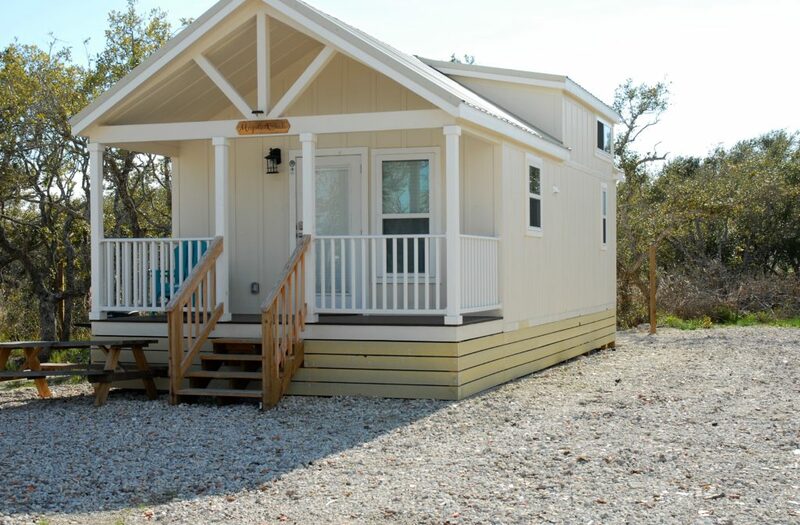 The White Oak features a covered porch, spacious living area, full kitchen, a private bedroom with a queen size bed, bunk beds, and loft with 2 queen beds. Plenty of room for parking your boat or vehicle beside the cabin. We are minutes away from Estes Flats, Com Brown Harbor, and Redfish Bay. Perfect spot for the fishing or family getaway. For a complete list of amenities for the White Oak, click here. Maximum occupancy for this cottage is 8 people. Prices range from $125to $137 a night depending on the day of the week. 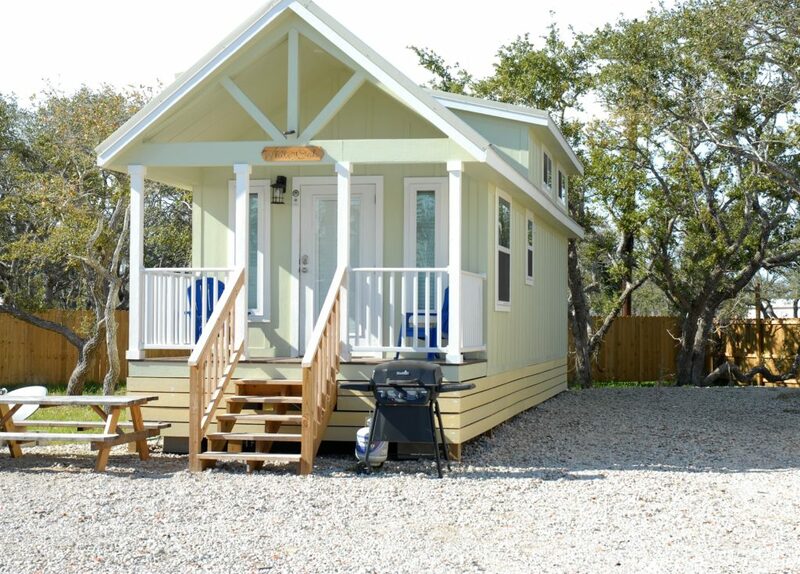 The Texas Oak features a covered porch, spacious living area, full kitchen, a private bedroom with a queen size bed and loft with 2 twin beds and a queen. Plenty of room for parking your boat or vehicle beside the cabin. We are minutes away from Estes Flats, Conn Brown Harbor, and Redfish Bay. Perfect spot for the fishing or family getaway. 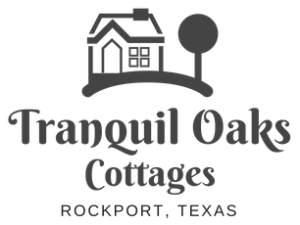 For a complete list of amenities for the Texas Oak, click here. 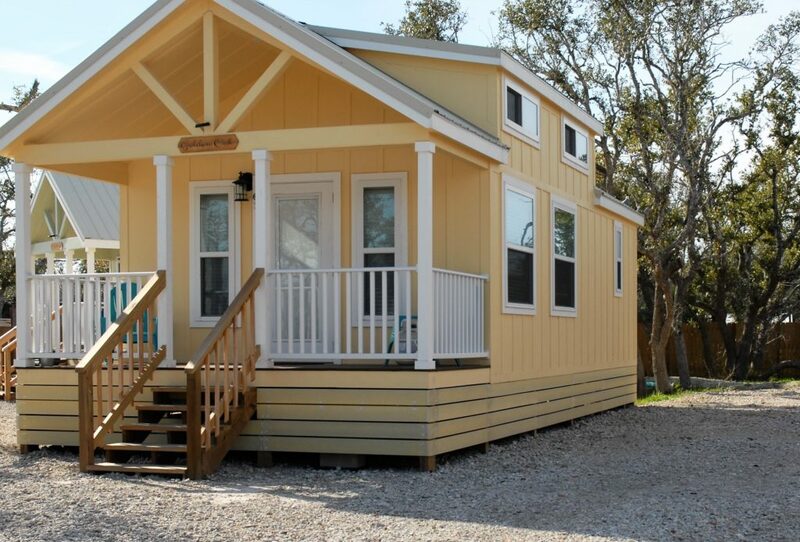 The Coast Oak features a covered porch, spacious living area, full kitchen, a private bedroom with a queen size bed, bunk beds, and loft with 2 queen beds. Plenty of room for parking your boat or vehicle beside the cabin. We are minutes away from Estes Flats, Conn Brown Harbor, and Redfish Bay. Perfect spot for the fishing or family getaway. For a complete list of amenities for the Coast Oak, click here.